Deadpool has made over £500 million worldwide, making more money than Iron Man and every single X-Men movie. It’s the highest grossing R-rated movie of all time too. So, how did a movie about a pansexual mercenary with a thing for unicorns become one of the biggest movies of the year? It’s a question our grandchildren will undoubtedly ask, once we’ve explained how the Kardashians came to be Grand Rulers of the Universe. And this is what we’ll tell them. Alright, so the Marvel movies have a couple of decent wisecracks but no-one goes to a superhero movie for the laughs. Deadpool, on the other hand, is as much a comedy as it is a superhero movie. Imagine an amoral Van Wilder thrown into the middle of Avengers Assemble and you’re pretty much there. It’s no secret that Deadpool was a passion project for Ryan Reynolds. 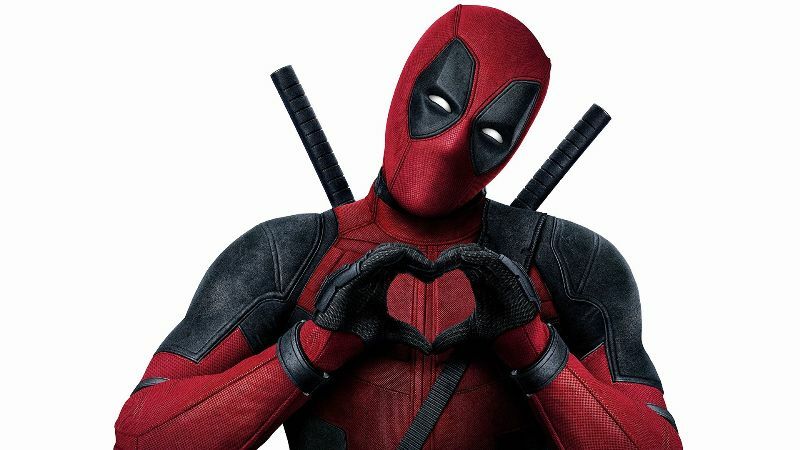 He first became interested in the role after a Deadpool comic described the character as “Ryan Reynolds mixed with a Shar-Pei” and has been trying to get a film made for at least 10 years. Although he got to play the role in X-Men Origins: Wolverine, it clearly wasn’t the Deadpool he imagined. Now he’s been given the chance to let loose, it’s clear that Reynolds is having the time of his life. As well as turning in an amazing performance in the film, he’s made skits for adverts, spoofed Kanye West’s Saturday Night Live rant and shown up in character on YouTube videos too. You get the impression that, if he could, Ryan Reynolds would spend every waking moment playing Deadpool. It’s hard not to love that kind of enthusiasm. Superheroes are ridiculous. Superman is an alien who fires lasers from his eyes and disguises himself by wearing glasses. Thor is a Norse god with a big hammer. Even Batman, the most realistic of all heroes, is a billionaire who dresses up like a bat to beat up a clown. Deadpool is about as serious as farting in a library. It’s hilarious from beginning to end: it’s dirty, clever, rude and packed to the brim with pop culture references. If you stub your toe, you swear like a sailor. If you get smacked in the face by a giant green mutant with rage issues, you bleed. So why are superhero movies about as violent as an episode of The A-Team? With blood and foul language abound, Deadpool conveys the true consequences of a superhero’s actions. Then makes fun of them. Most superheroes are goodie two-shoes. Captain America, Thor and even Tony Stark (despite the attitude and one-liners) are do-gooders. It’s the kind of person you have to be to do the job, we suppose. Deadpool, however, is a despicable character and terrible person who just happens to be doing a good thing. He’s the hero we deserve and the hero we need right now.